“Less is more” is not only what I tell students in the English classes I teach at Southwestern University in Georgetown, Texas or as they write their personal statements for fellowships, scholarships and job applications. It is also the mantra of those who blog about blogging. In short, a title should invite the reader in, winningly suggest what s/he might expect, and stay out of the weeds and/or smoke rings of one’s mind as much as possible. “Everyone has their reasons” is a line from Jean Renoir’s film The Rules of the Game (1939) that has long been in my pantheon of go-to quotes right beside Catherine of Siena’s “all the way to heaven is heaven,” Allen Ginsberg’s “Everything is holy!” and Leonard Cohen’s “every breath we drew was hallelujah.” Everyone, all, Everything, every…. In all of those words, I hope you hear my yearning for connection with as many people and things as possible through the poetic fusion of knowledge and emotion.  Which is how I arrived at The Big Tent–and one with an enormous “table of joy” (as cultural critic Peter Coviello once put it in an article about Steely Dan) beneath it. After Stockholm, I plan to continue reflecting upon the musicians, writers, painters, directors, actors, and athletes who have brought me not only self-knowledge and delight but also social connection. The way I see it, we’re all living in a series of murals that are all connected to one another. In the next few weeks I will be writing about my trip to Stockholm and the Nobel Prize ceremonies (hence the aforementioned Dancing Towards Stockholm) where Bob Dylan, whose art has been the subject of much of my work and joy, probably will not be appearing to receive his award. That will not, however, stop me from sharing a few illustrated posts about what I find and learn there. After Stockholm, I plan to continue reflecting upon the musicians, writers, painters, directors, actors, and athletes who have brought me not only self-knowledge and delight but also social connection. The way I see it, we’re all living in a series of murals that are all connected to one another. Our series includes the one from the Waverly Inn in Greenwich Village that artist and writer Edward Sorel so generously gave me permission to use as the illustration for this blog. Other generosities, murals and connections are no doubt on the horizon. I welcome you, gentle reader and new or returning companion, and promise to do my best to help us enjoy our time together. Yes, my friend. “Steal a little and they’ll put you in jail/steal a lot and…” Well, you know the rest. Thanks for hosting me on Monday night and the zoo/”outdoor museum,” as you put it and leading me “to the ship.” I learned so much about your city: Benny Anderson of ABBA, Clapton staying at the top of what used to be the Strand and is now the Radisson, your green VW bus with eyelashes and “Blonde on Blonde” playing on the left side of the Liffey, 32K people hearing Marley in Grona Lund, Big Red (it’s band name, folks), and studying “Chinatown” in Oslo. I look forward to your keeping me honest.